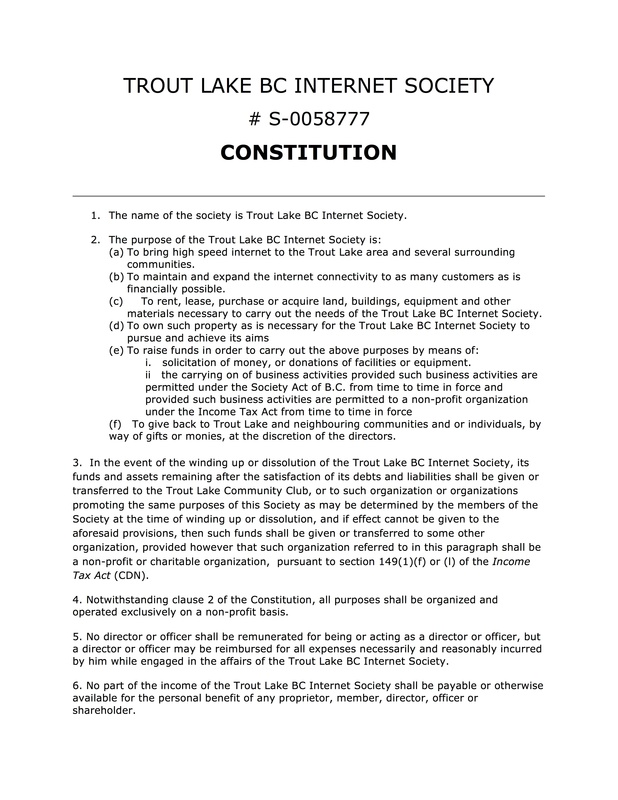 After an intense and tedious process, the Network BC "Connecting Citizens" grant application was assembled for the Trout Lake high-speed Internet project in November 2010. 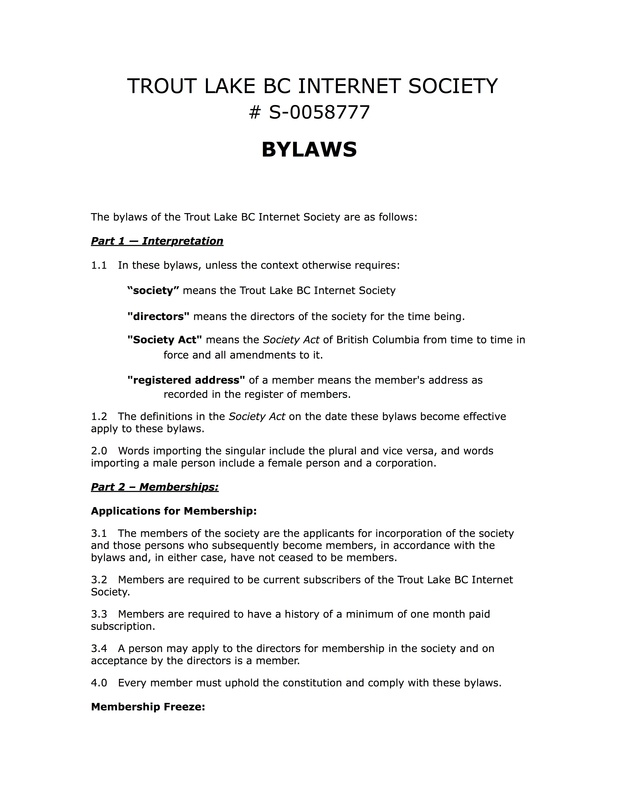 In May 2011, the application was accepted and approved and on September 2, 2011, the Trout Lake BC Internet Society was incorporated as a non-profit organization. ​With the support of corporations, individuals and volunteers, the project came online in January 2012.